Now THAT is a loaded question - but we'll come back to that. 1962 Penn High School, Penn Twp., Mishawaka, IN - graduated as B student from a very progressive brand new high school. Claim to fame: As a freshman, played Emily in Our Town - I'll come back to that destiny event. 1966 B.S. in Nursing, Illinois Wesleyan University, Bloomington, IL. During this period, nursing education was dominated by 3 year diploma programs; I chose a 4 year degree program, reasoning that if I didn't like nursing, I could change majors! Turns out: I LOVED PSYCH! 1981 M.S. in Psychiatric Community Mental Health Nursing, U. of I. Medical Center, Chicago. I THRIVED IN PSYCHOTHERAPY PRACTICUMS. 1990 2005 Hypnotherapy training: a 9 month program, a week long program, and several one to three day workshops. Three year Mentor Program with Richard Moss, M.D., author and international consciousness teacher. 2003-2004 Mandala of BeingTraining with Richard Moss, M.D. 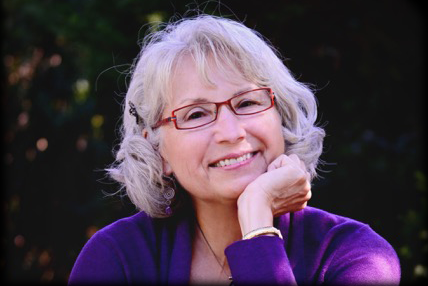 Energy of Money and Coaching workshops with Maria Nemeth, PhD. 1995 5 day Quantum Psychology Workshop and one on one work with Stephen Wolinsky, PhD, prolific author on Quantum Psychology and consciousness facilitator. Quarter century of professional and personal Continuing Education, e.g. 4 of 5 Evolution of Psychotherapy Conferences, AHP annual conferences - Regional & National, NICABM conference, IONS conference. Therapy is not a science. It is an art developed on a firm foundation of science. Science will never hold the answers to the complexity and mystery of our existence as spiritual beings having a physcial experience with this personality and this body. I got my feet wet as a medical-surgical nurse at Brokaw Hospital, Normal IL. After just 2 years, they opened a psychiatric unit and asked me to lead that as Head Nurse. Two years later my son was born. I spent 6 months home with him before accepting a position at the Mental Health Center, followed a year later by accepting an offer to join 2 psychiatrists in their private practice, where I learned interesting and innovative interventions. Mostly, I learned I needed grad school, which I did while maintaining a tiny private practice out of my home and caring for 2 young children while my husband worked. Completing grad school thrust me into the world of academia, teaching clinical part time at IWU for one year, and again 20 years later as adjunct professor for 3 years teaching Human Sexuality. 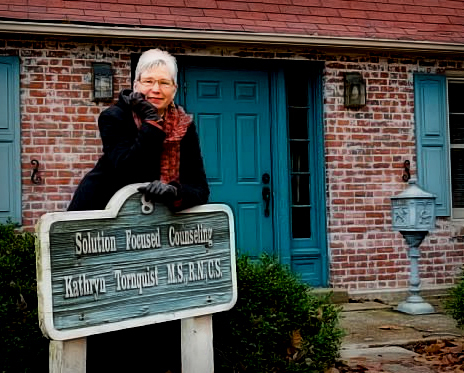 Having started in private practice with the same 2 psychiatrists in '82, when they "divorced" each other 2 years later, I became the second nurse in Illinois to open a solo private practice, the first in mental health nursing in IL! Also notable, was initiating and co-leading with master therapist Cheryl Gaines, a support group for family and friends left behind by a loved one's suicide. I was moved to do this following my brother's suicide in 1976. My older brother also suicided nearly 15 years later. WHAT DREW ME TO WORK WITH HUMAN POTENTIAL? Talking with a live theatre producer at about 35,000 feet between O'Hare and San Francisco in 2000, I realized the answer to that question that had previously been, "I DON'T KNOW." We had been chuckling about my role as a high school freshman playing Emily in the school play, Our Town, before he asked me that same question. I suddenly realized that, though oblivious to it at age 14, speaking the line, "MOMMA, LOOK AT ME, JUST LOOK AT ME!" had profoundly alerted me, at some less-than-conscious level, to MY need, and ultimately each human's need to feel seen, feel heard, have our daily lives witnessed with exquisite attention from people who matter to us. Kathryn is way more than anything she or anyone else can name. It's easier to say who I am not. I am not this ego, this body, nor anything that the ego/personality identifies with - i.e. all of the above! Because ultimately I am - everything is - a field of energy/space/light, depending on which physicist you are reading. OR, we could say that Kathryn is a spiritual (energetic) being having a physical (human) experience. If my intent is to live this life fully - "playing full on," as James Ray invites, then I must re-member that I exist as BOTH, neither less important than the other. What's required is that I build an effective relationship between the two. LET'S GET STARTED - NOW!